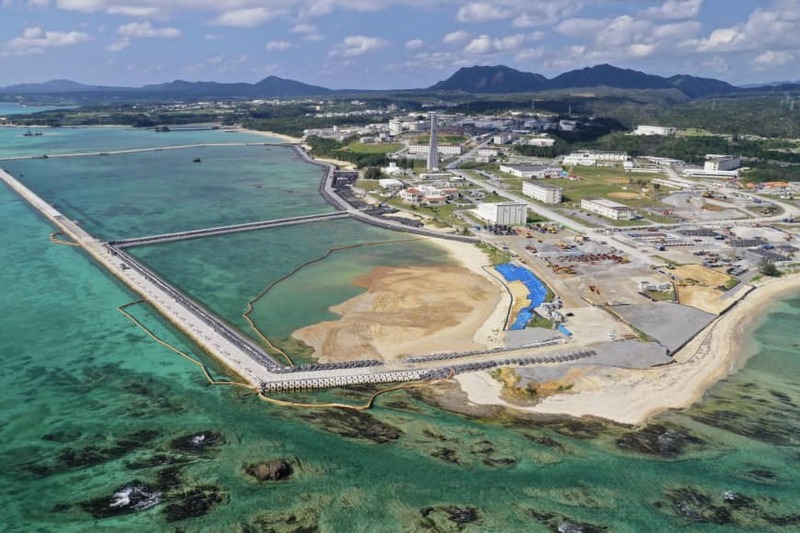 The central government plans to start soil placement for further reclamation work in an area off the Henoko coastal district in Nago, Okinawa Prefecture, in March, sources with knowledge of the matter said Tuesday. 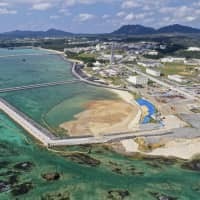 The Defense Ministry’s Okinawa bureau will soon inform the Okinawa Prefectural Government of the placement of soil in the new area, which will be implemented as part of a controversial project to relocate operations of U.S. Marine Corps Air Station Futenma in Ginowan, also in the prefecture, to a replacement facility to be built in Henoko. The decision is likely to draw further backlash from the prefectural government. Gov. Denny Tamaki has expressed his determination to block the base relocation plan. The central government started pouring soil into the waters of a 6.3-hectare section near the tip of Cape Henoko on Dec. 14. According to the sources, around 20 percent of the reclamation work in the section has been completed so far, and seawater is expected to recede there by around April if the work progresses smoothly. The bureau plans to start dumping soil into the waters of a 33-hectare area next to the section currently undergoing reclamation work. Currently, the bureau is inspecting seawalls and expects to start work within the new area in late March, the sources said. The government is moving ahead with the project off Henoko in the hopes of making the base relocation a done deal.